Barb Dehn is a practicing Women's Health Nurse Practitioner and a television health expert, who is known as Nurse Barb. She is a guest lecturer at Stanford University, provides OB/GYN health care for women in Silicon Valley and is an award-winning author. Barb actively provides health care information on her social media platforms and contributes content to many online sources including her blog, Nurse Barb's Daily Dose, HealthyWomen.org and The Huffington Post. Barb is certified by the North American Menopause Society and is a Fellow in the American Association of Nurse Practitioners. What is your connection to maternal health and how have you gotten involved? I started my career in pediatric intensive care. Seeing some really difficult conditions that children had to deal with in that environment led me to want to want to work in prevention. I've now been a women's health practitioner for more than 30 years. In the last two years, I've become more involved with global health and working in a remote area in Tanzania, educating other healthcare providers on various aspects of maternal and child health. What does maternal care mean to you? Maternal care means everything to me. I take care of women from all walks of life here in Silicon Valley, CA. What is lovely about our practice is that, because of our location, we attract women from all over the world who are here to work, or who are here with their partners because of the high tech industry. As women's health providers, we're really nurturing and caring for two patients that happen to reside in one body – mom and baby. It's such an honor, responsibility and privilege to care for women at this time. When I was in Tanzania recently, I was teaching the doctors and the midwives how to do obstetric ultrasounds. There, it is super critical because so many women have limited or no prenatal care. We rely on the ultrasounds to date the pregnancy and look at the placenta to see if it's mature. I see very high-risk moms. These are women who live in very harsh conditions, without electricity or running water, who may be severely anemic or who have a variety of infectious diseases. Pregnancy is not all unicorns and rainbows anywhere in the world, and more so in developing countries. While it can be a beautiful time, there are also two lives involved and quite a few potential health challenges. As a provider, I love reading and staying current with obstetric guidelines, research and best practices. I love working in obstetrics because you have to put together a lot of pieces of the puzzle to maximize both the mom's health and the baby's health. 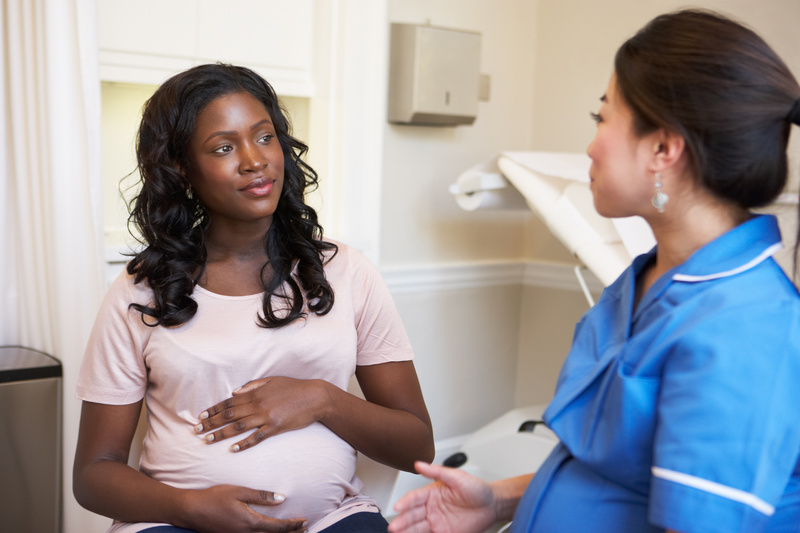 What propelled you into a maternal health career? My career path was shaped because my mom had breast cancer. She was diagnosed at age 32 when I was only five years old. Thankfully, she survived, and what really impressed me was her care, how the doctors and the nurses empowered her to take charge of her life and get back on the road to recovery. My mom talked a lot about how they explained things to her so she could understand and integrate their recommendations. That led me to want to work in health care and educate as many people as possible. I wrote a pregnancy health guide that's been translated into three languages, English, Spanish and Mandarin and over five million women have read. I teach at Stanford in the U.S. and also in Karatu at FAME Hospital in a remote area of Tanzania. I enjoy speaking at conferences to my peers. My passion is to work with my medical colleagues to help them be more effective communicators so that the people they care for feel more empowered, motivated and less ashamed about their illness – which is what my mom experienced many years ago. What positive developments have you seen in maternal care recently? So much has changed and I'm so fortunate to have seen so many improvements over the years! I have unfortunately seen women die in childbirth. I've also seen how evidence-based protocol changed how we manage women during pregnancy and childbirth. This includes everything from how we do inductions, which are gentler and kinder now, to how we use epidurals to minimize the amount of anesthetic so that women have more sensation and can push more effectively. When I think about postpartum hemorrhage and the protocols that we have in place now, they are lifesaving and are being adopted all over the world. We have so many better treatments available now. Women who are HIV positive are at much higher risk for maternal death because their immune systems are compromised. Having free HIV medications available worldwide so people can obtain them and manage their HIV has been vitally important. In the hospital that I work at in Tanzania, we are currently following moms who are HIV positive. So far, none of the babies have been infected because both the moms and babies are getting their medications which allows the moms to breastfeed there. It is an incredible testimony to huge groups of people all over the world working together - sharing data, sharing knowledge and then putting best practices into place. What improvements still need to be made? We don't want to leave any stone unturned. Even here in the United States, I still see women who don't come in for prenatal care until their fifth month and who aren't aware of the things they should be doing during their pregnancy to optimize their health and their baby's health. I see women who are not aware that prenatal care will help them and their babies be healthier. I think that some people might believe that since pregnancy and childbirth is a natural process, they want to avoid possible interventions. I think prenatal care has changed a lot and we as providers only suggest what will help women and their babies be healthier. We don't want women to feel burdened by the idea of prenatal care, we want them to look forward to it. Another big issue is prenatal nutrition both for moms and for babies. So many moms aren't getting enough calcium in their diets. For lots of reasons, they are substituting other beverages for milk. Women's bodies pay a heavy price in pregnancy with a little bit of bone loss, so maintaining their calcium intake every day is very important. It all comes down to good healthy nutrition for both the mom and baby to prevent anemia, to prevent bone loss, to help women feel strong and have the endurance to go through labor and delivery and then to recover. There is still a lot to be done. I think recognition of the risk factors for premature labor, making sure we educate women about what those signs and symptoms are, encouraging them to come in so that we can evaluate them are all such important factors. It's all about education, empowerment and making women feel like their prenatal provider is their friend and someone they can trust, and that we're partnering with them to have the safest and healthiest birth as possible. It's an honor to be invited into a woman's life at any time, and especially during pregnancy. As a health care provider and a nurse practitioner, I take that very seriously. I am one hundred percent, wholeheartedly committed to staying up to date on everything related to pregnancy, care, and neonatal resuscitation, because it's a precious gift to be entrusted with these two lives. What happens in pregnancy and birth to mom and a baby affects an entire family for many years. We invite you to visit the Merck for Mothers website to comment on Nurse Barb’s blog here. Merck for Mothers is a 10-year, 500 million dollar initiative that applies Merck scientific and business expertise – as well as its financial resources and experience in taking on tough global healthcare challenges – to end preventable maternal mortality worldwide. To achieve this, Merck for Mothers is providing transformational and sustainable solutions focused on improving the quality of maternal health care women receive at health facilities and increasing women’s access to family planning. Merck for Mothers focuses on helping countries reduce maternal mortality and improve maternal health with the overall aim of supporting United Nations’ Sustainable Development Goal (SDG) 3.1, which calls for a global reduction in the maternal mortality ratio to fewer than 70 maternal deaths per 100,000 live births by 2030. For more information, visit www.merckformothers.com.